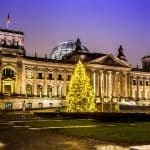 Each year, Berlin offers a growing list of festivals, parades, celebrations, and annual cultural highlights that make it a wonderful destination for travelers wanting to experience the country’s local flavor. Whether you’re looking for historical sites and museum events, cultural events and musical performances, or something a little quirky, you’ll find plenty of activities all year long to create a dynamic vacation in Berlin. 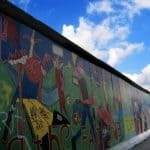 Here are a few of the major events to get you started thinking about a visit to this German capital city. Many of the event are family friendly, but some are more appropriate to teen and ‘tweens than younger children. Most events in Berlin are celebrations for all ages, although there are cultural differences from what you might expect here in the U.S.
Festival Days at the Staatsoper Berlin – April 16-25, 2011. A must event for classical music fan from around the world, the Staatsoper Festival Days will be presented at the Schillertheater. Every year, highly acclaimed artists present two opera productions plus several symphonic works. Carnival of Cultures – June 10-13, 2011. In celebration of the cultural and ethnic diversity found in the German Capital, the Carnival of Cultures will feature a colorful parade with participants from about 80 countries. Staged in Berlin’s Kreuzberg district, the Carnival of Cultures is one of Berlin’s most popular and highly anticipated annual events. A special Children’s Carnival will be part of the program on June 11, 2010. Lesbian and Gay Street Festival – June 18-19, 2011. Berlin’s Rainbow Fund will present its 19th annual Lesbian and Gay Festival, which is the largest festival of its kind in Europe. The festival will again take place around Nollendorf Platz in Schöneberg district, one of Berlin’s gay neighborhoods. Fête de la Musique – June 21, 2011. Taking place every year on the day of summer solstice, this European music event celebrates the diverse forms of live music. Free concerts on over 50 (mostly open-air) stages throughout Berlin feature artists from all of Europe. (www.fetedelamusique.de). Long Night of Museums – August 27, 2011. The “Long Night of Museums” has become a favorite among Berliners and tourists alike. Around 100 museums, large and small, featuring established and new collections, open their doors from 6 pm Saturday evening until 2 am Sunday morning. Unique music, theater, and culinary events will enhance the permanent and temporary exhibitions and promise to make the nighttime museum visit a unique experience. With one ticket, patrons get unlimited use of a special shuttle bus service and admission to all participating venues and events. 6th Berlin Festival – September 2011. Two days of live music at the historic Tempelhof Airport. This unique urban rock event attracts music lovers from around the world. .
38th Real Berlin Marathon – September 24-25, 2011. The annual Berlin Marathon is among the top five international marathon races, and also features a folk festival. The route will span 10 districts throughout the city. 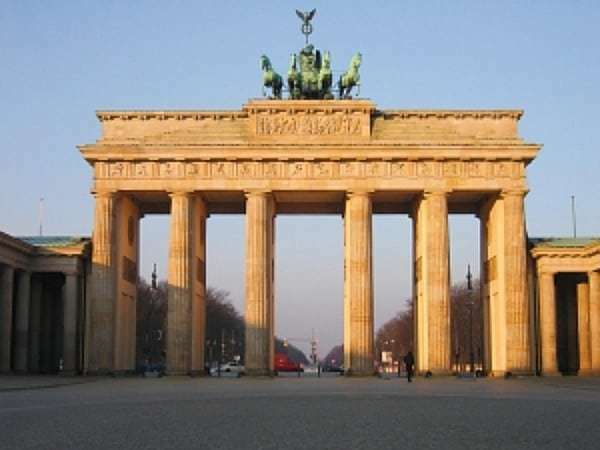 German Unification Day – October 3, 2011. In celebration of the reunification of Germany, a large celebration is held each October 3 on the streets surrounding the Brandenburg Gate and the Reichstag. Special stages are set up and feature musical performances featuring everything from classical to rock. Christmas Fairs and WinterMagic – December 2011. 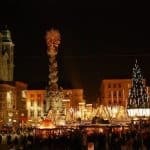 The holiday season features a wide variety of events beginning at the end of November when Berlin is home to about 60 Christmas markets, including Germany’s largest fair in Spandau’s Old Town, the historic market at Gendarmenmarkt square, and the nostalgic fair at the Opernpalais Unter den Linden. 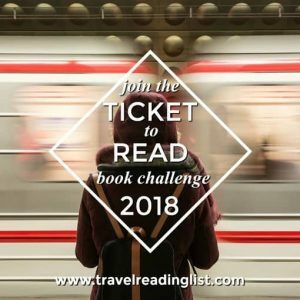 Holiday concerts, ranging from classical to vaudeville, along with lots of winter activities like tobogganing and ice skating make for unique urban winter experiences. New Year’s Eve at the Brandenburg Gate – December 31, 2011. People gather at Brandenburg Gate to welcome in the New Year, complete with fireworks, dancing, a Ferris wheel, food, and all sorts of shows. The party continues into the wee hours. A complete listing of festivals, activities and other events can be found on Berlin’s online calendar of events. NOTE: Most of the websites are multi-lingual and will allow you to change to the language you prefer. Some sites, however, are only in German.